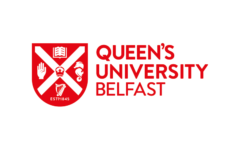 A fully-funded 3-year PhD studentship is available at Queen’s University Belfast in conjunction with the research project ‘Foreign, Indigenous and Community Languages in the Devolved Regions of the UK. 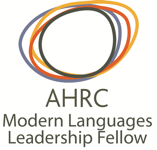 Policy and Practice for Growth’ which is attached to the Arts and Humanities Research Council (AHRC) Leadership Fellowship in Modern Languages held by Professor Janice Carruthers. The research team currently consists of the Leadership Fellow, two postdoctoral fellows (working on community languages and on modern foreign languages) and a language policy consultant. More information about the project can be found in the about section. Proposals are invited for a PhD project in the area of Modern Languages Policy. We are particularly interested in proposals relating to aspects of Modern Foreign Languages policy in the UK. Proposals that incorporate international comparator are welcome. Applications in other Language Policy fields falling within the remit of the project will also be considered. The studentship will start in September 2019 (or as soon as possible thereafter) and will cover full fees. It will also include an annual maintenance stipend for three years to RCUK minimum level (£15,009 per annum). It will be supervised by Prof Janice Carruthers and a second supervisor (choice of the second supervisor will depend on the precise topic of the project). For further information about the studentship, please contact Prof Janice Carruthers (j.carruthers@qub.ac.uk). • have been ordinarily resident in the UK for at least 3 years prior to the start of the studentship. 3. The standing needed to meet the graduate admissions entrance requirements of Queen’s University. Important: applicants should tick “I am responding to an advert” then enter “MLP 19” in the box provided. The deadline for applications is 5 pm on 31 May.